In this guide, the acutal laptop is Lenovo / IBM Thinkpad X61. 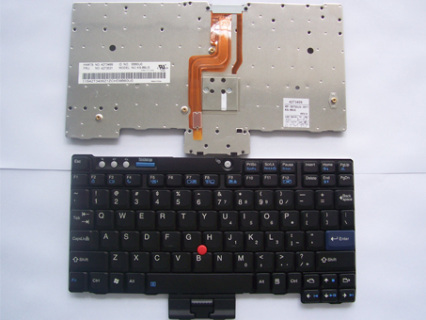 The keyboards of Thinkpad X60 series and X61 series are the same, the disassembly procedure should be similar. First of all, shut down your Thinkpad X60 / T61. Disconnect the AC adapter and remove the battery. 1. 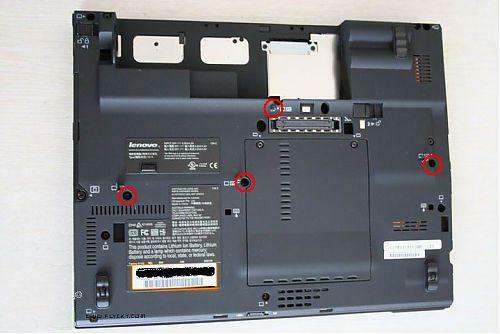 Remove four screws securing the Thinkpad X60 / T61 keyboard on the bottom of the laptop. 2. 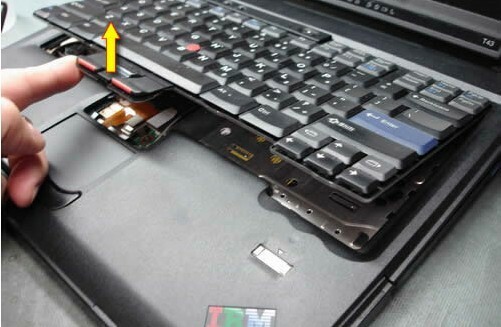 Insert a sharp object between the bottom of the keyboard and palm rest and carefully lift up the Thinkpad X60 / T61 keyboard. 3. Lift up the keyboard a little and then detach the connector. 4. 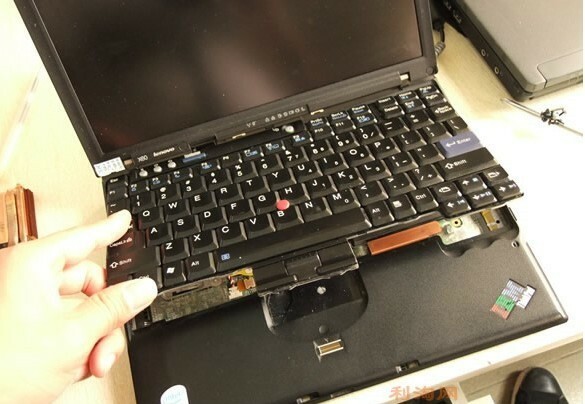 Remove the Thinkpad X60 / T61 keyboard. 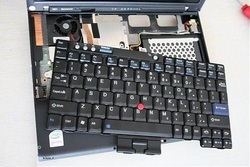 Reverse the procedure to install your new Lenovo / IBM thinkpad X60 X61 keyboard. 1. Lenovo Thinkpad X60 X60S X61 X61S CPU Fan. 2. Lenovo Thinkpad X61S LCD Cable. 3. Lenovo Thinkpad X60 X60S X61 X61S LCD Inverter.